If you’ve ever wondered how giant bronze statues could be cast in one piece, the Getty Research Institute is here to cool your fevered brow. It has created a great video explaining all the steps in the casting and installation of Edme Bouchardon’s equestrian statue of King Louis XV that stood in the Place Louis XV, today known as the Place de la Concorde. The video was created for the exhibition Bouchardon: Royal Artist of the Enlightenment to illustrate the complex process of casting a massive bronze equestrian statue. Because of the hardships inherent in the project and his own meticulous standards, Bouchardon didn’t live to see the end of that process. He died in July of 1762. 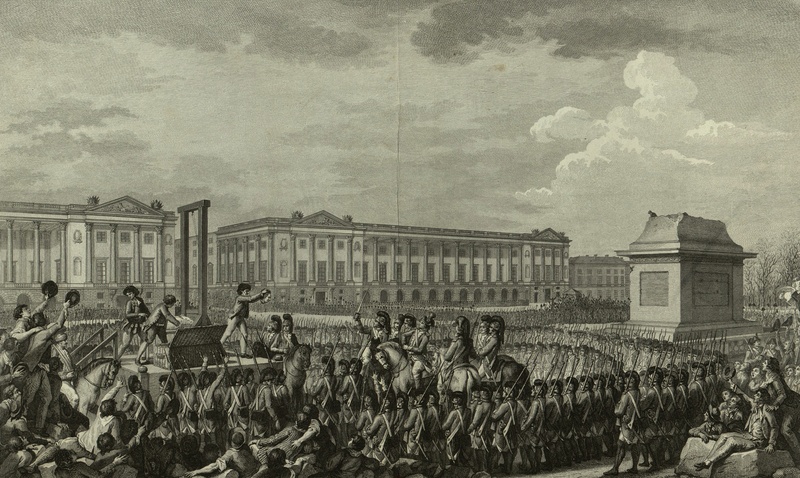 The 17-foot high (39 feet including the pedestal) depiction of the king garbed like a Roman general, laurel wreath on his head and baton of command in his raised right hand, was erected in 1763. After all that trouble, Bouchardon’s masterpiece only outlived its maker by three decades. 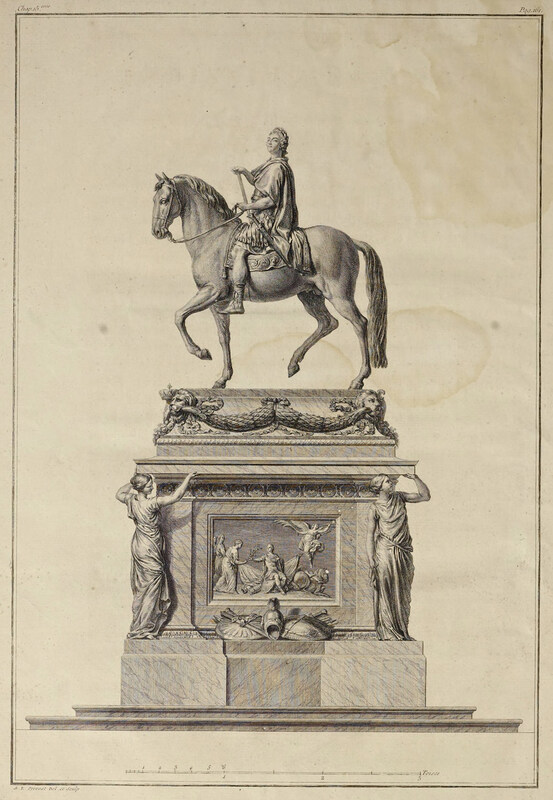 The anti-monarchical iconoclasm of the French Revolution which decimated so much of France’s cultural patrimony struck the bronze in the wake of the overthrow of the monarchy in the Insurrection of August 10, 1792. Bouchardon’s rigorousness almost defeated them, however, as they found it almost impossible to destroy the statue. They thought they could just loop some ropes over it and pull it down, but it was connected to the pedestal with long iron tenons from its casting and the 30 tons of bronze could not be budged. In the end, they had to get a metal saw and cut through the left feet in order to break the monument at its weakest points. The bulk of the statue was melted down. The right hand which had held the baton of command survived, first on the ground of the newly renamed Place de la Révolution, a mute but powerful witness to the death of the ancien regime. It was still there seven months later when Louis XV’s grandson was guillotined in front of the pedestal that had once supported the symbol of royal power. 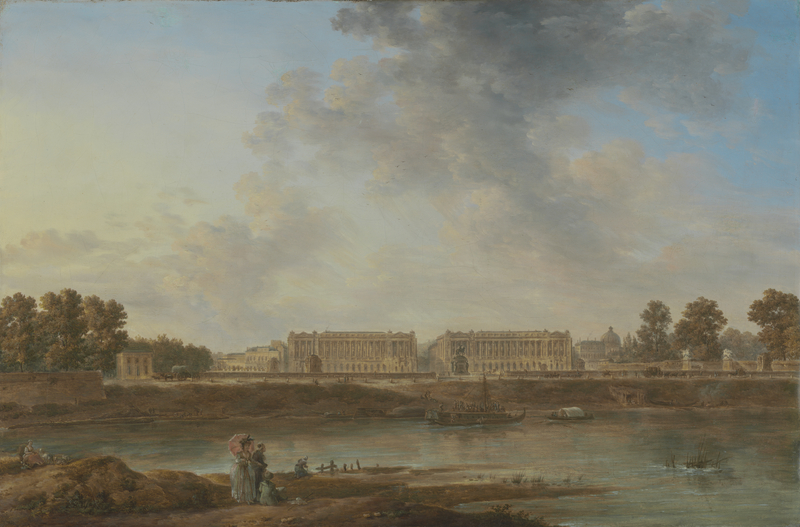 Later the hand was gifted to Jean Henri Latude, a rather fabulous scammer who had spent decades in the Bastille by order of Louis XV and had escaped by fashioning a ladder out of scraps of his clothing and parts of a chair. The Council of the Municipality of Paris thought it fitting that he should receive the hand that had once signed the order sending him to the Bastille. 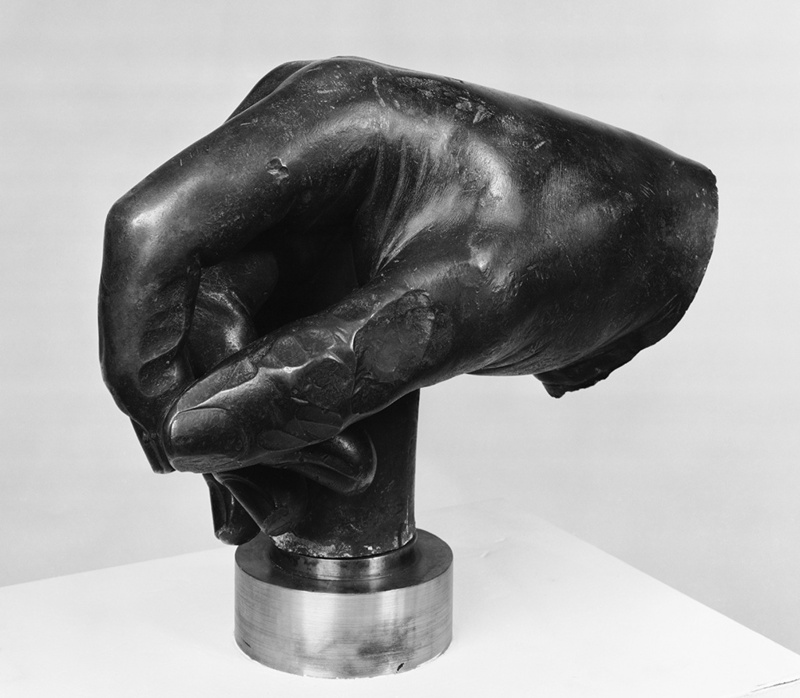 That hand is now in the Louvre and was loaned to the Getty for the Boucheron exhibition. The video explains how the casting was done and the massive statue installed by animating contemporary engravings of the casting process printed in Description des travaux qui ont précédé, accompagné et suivi la fonte en bronze d’un seul jet de la statue équestre de Louis XV, le Bien-Aimé, (Description of the works that preceded, accompanied and followed the bronze casting of the equestrian statue of Louis XV, the Beloved) by Jean Pierre Mariette, published in 1768 when Louis XV was still alive (hence le Bien-Aimé). The Getty Research Institute has also digitized the volume. You can read it or, if you can’t read French, just leaf through the killer architectural drawings here.